Founded in 1849 on the principles of quality and innovation, the Zinsser® brand is known for professional-quality, problem-solving products that make the job easy and get it done right. 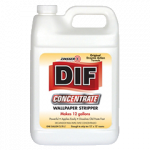 Hirshfield’s carries a wide variety of primer-sealers, water-proofing coatings, and various other sundry items under the Zinsser brand. Damp, leaky basements can lead to structural damage and the growth of mold and mildew inside the home. 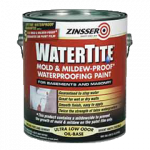 Keep water out and mold and mildew away with the Zinsser® WATERTITE® family of products. Surface preparation is the key to a professional-looking paint job. 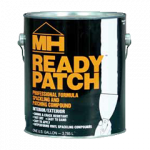 Zinsser® Ready Patch and Ready Patch Lite are designed to fill holes, nicks and dents, preparing surfaces for priming and painting. Wallpaper removal projects don’t need to be time-consuming, messy and difficult. 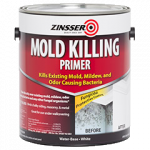 The line of Zinsser® wallpaper removal products includes liquid and gel removers, and scoring and scraping tools. Hirshfield’s is here to help! 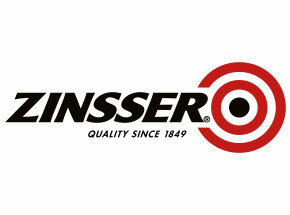 If you have a technical question relating to Zinsser products? Please submit a general inquiry about this vendor.